This entry was posted on Monday, March 5th, 2012 at 12:00 am and is filed under Comics. You can follow any responses to this entry through the RSS 2.0 feed. Both comments and pings are currently closed. 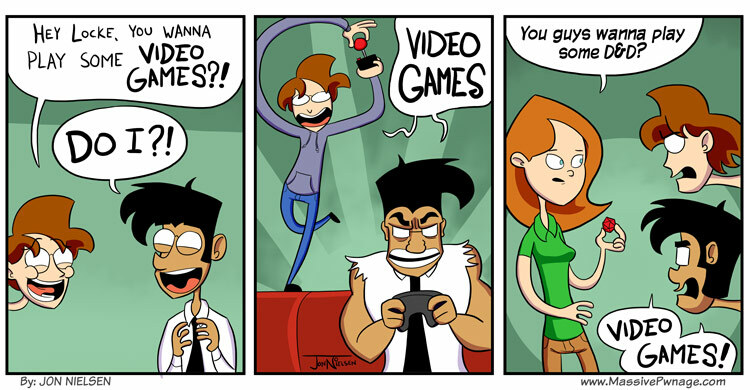 I love dem vidya gaems! 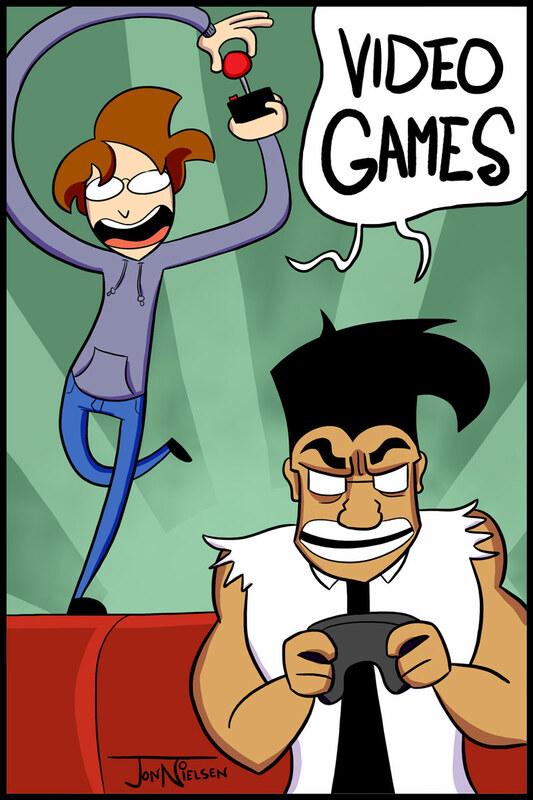 at the very mention of video games, lock becomes the incredible hulk. Do you guys play D&D for real? Locke plays it a ton with his college buddies. I haven’t in years. 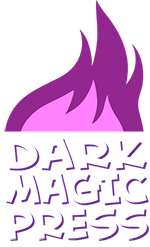 , youve probably never heard of it, but its the ninth best dnd forum in the world, yes you heard me right the ninth best in the world, it even has its own fantasy setting, not like You’d care i mean you havent played dnd in years. Sorry bro, much of my early DMing education started at RDinn. Glad we can both be hipsters. Lol, i visit Rdinn often, but only to read the comics they have. I used to play DnD often IRL, but a few months ago i stopped because some of the people we played with weren’t serious and always got their way, even if it meant forcing the GM to take their position, so it wasnt fun.